Swing into action and advertise your brand on our golf divot tool that includes a turf repair tool and removable ball marker. Choose from among a selection of classic background colors and have your company name or logo imprinted for brand recognition. 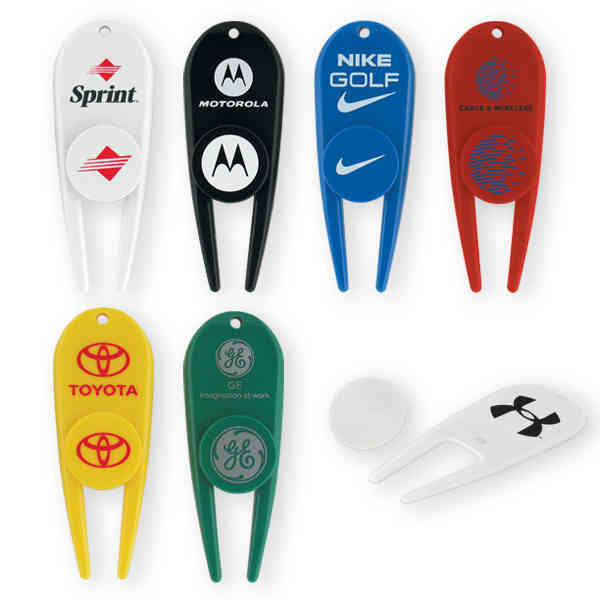 These mini tools are ideal for sponsors at a charity golf outing. A must-have for any golfer's bag! Size: 1 " x 2 3/4 "
Price Includes:printing any one stock color. Imprint Size:1" x 3/4", 3/4" dia.